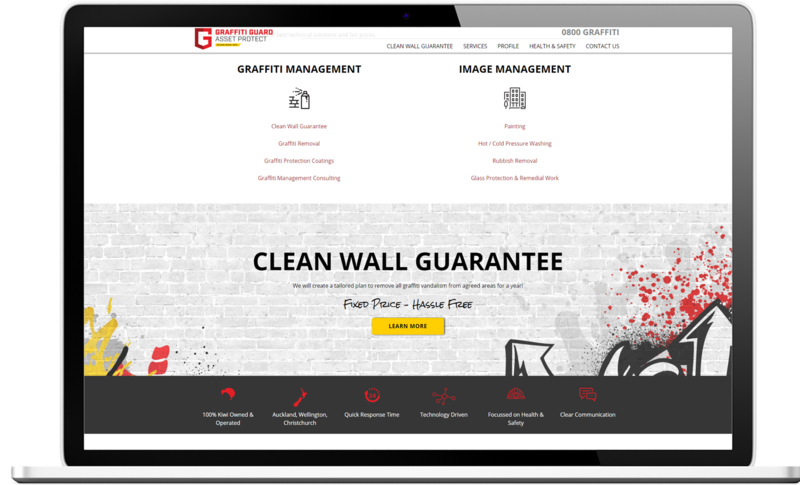 Graffiti Guard offers a range of industrial, commercial and residential property services and are leaders in property maintenance and property image enhancement services. 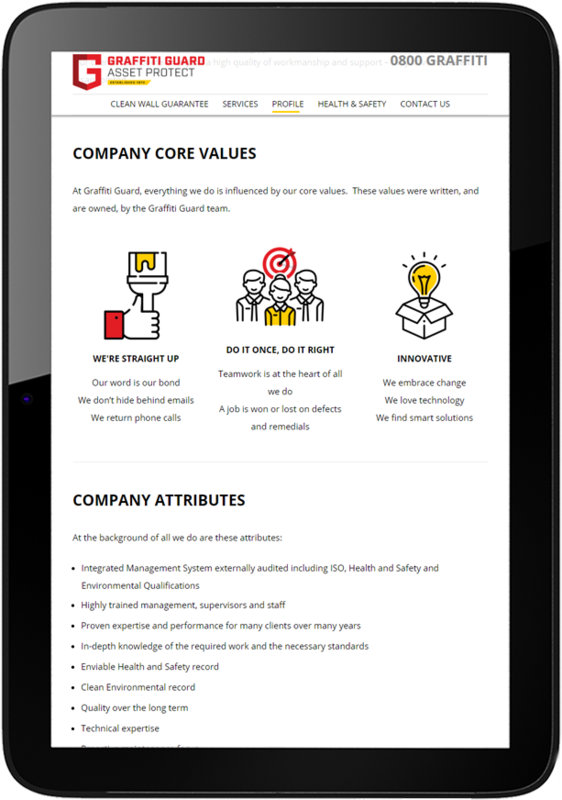 The client was poised for more of an emphasis on a digital strategy and wanted a new website to provide a first point of call for prospective clients and complement their new focus on online marketing. 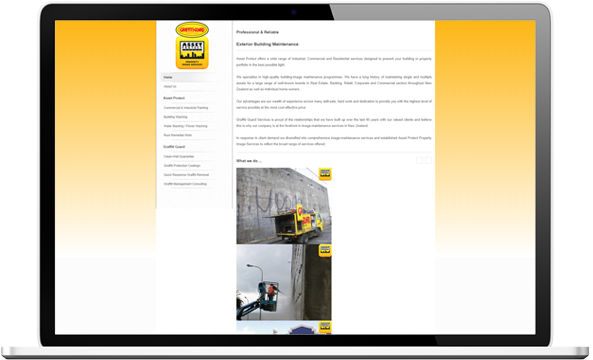 The new website also needed to incorporate and reflect new awesome branding work that had recently been completed. 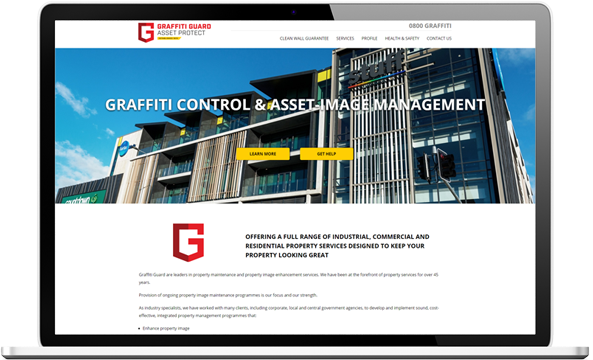 We are pleased to have been able to provide a quality website enhancement for the leaders in property image enhancement, lifting the face of their digital presence just as they do for the physical appearance of New Zealand businesses.